Concrete is known to be strong, durable and perfect for both utilitarian and decorative purposes worldwide. 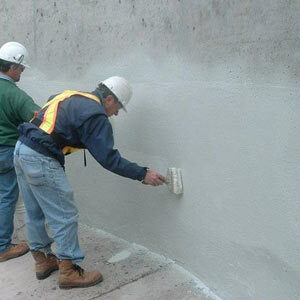 However, concrete is also porous, permeable and prone to cracking, therefore there is needs for concrete waterproofing. Water while essential in concrete production, placement, and curing is at the same time corrosive to the material, because once it fulfills its role in the production and other processes, it becomes an enemy to concrete. Although rated by its function and the nature of its exposure, concrete can as well perform well in wet environments. As Africa emerges as a key global player in the construction industry with its numerous infrastructural development opportunities, there is need for general awareness on waterproofing products.Therefore, modern technology and revamping of the construction industry with regards to waterproof concrete will be key to enhancing the infrastructural development is sustainable.